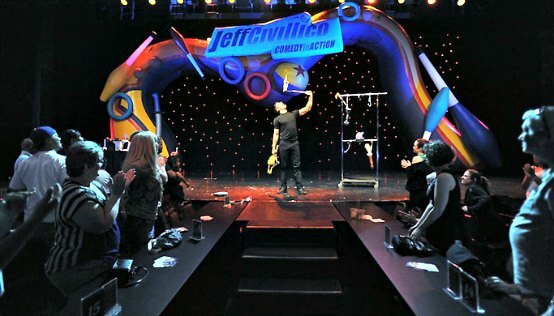 Jeff Civillico: Comedy in Action Las Vegas is truly a wholesome family-friendly show that highlights the talents of the artist. This 75-minute high-energy production has just the right amount of acrobatics, humor and plenty of juggling. The award winning event includes accolades as Best Family Attraction, Best Bargain Show and Best of Las Vegas. 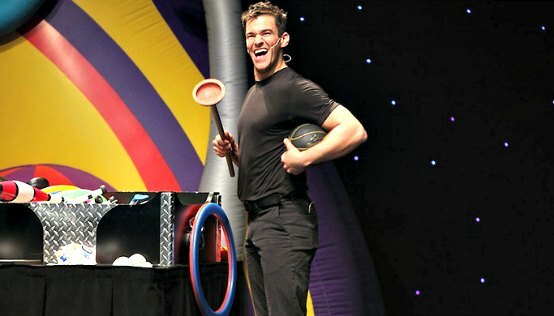 Jeff Civillico has lots of high energy entertainment from spinning plates on fingers to juggling numerous objects of different sizes and shapes. This event is packed with interesting physical stunts from the start when Civillico balances several objects on head that he gathers from different audience members. Eventually he is balancing a ladder on top of chair while the objects rest of his head. From here the audience might think he is just crazy and when Civillico starts to juggle bowling pins the audience knows he is a professional. He is also known to spin plates on his fingers. These are just some of the spectacular artistic stunts that are displayed by Civillico during his Comedy in Action event. Audience members get to participate in the action too when Civillico teaches one person how to juggle, another volunteer helps him spin plates and two men from the crowd help Civillico get perched on his giant sized unicycle. In the finale Civllico turns the lights out and juggles balls as well as pins that glow-in-the-dark. 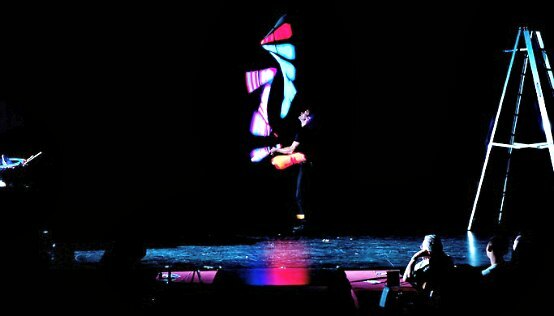 The glowing objects form an optical illusion for the audience and some members might think he has three hands. Civillico has a great stage presence and his one line jokes are laughed at by the audience throughout the whole performance. The humor aspect of the show is truly family-friendly with no adult language and Civillico is cognizant of the younger people in the crowd. Yet, his slapstick style comedy is a hit will all ages in the audience. Comedy in Action is playing at Bugsy’s Cabaret where the intimate seating really plays into Civillico strengths. The multimedia effects and light sound during the show are an added value to this nicely choreographed production. Jeff Civillico: is one of the best choices you can make when you are looking for a late afternoon of fun and laughs for the family. This event explores the happier side of life with lots of interesting physical stunts and the juggling is one-of-a-kind. Jeff Civillico was born in Pennsylvania and first became interested in juggling after watching a street performer in Boston when he was seven years old. He honed his skills early and was performing for free at various nursing homes as well as at schools for disabled children. By the time he was fifteen he was awarded a gold medal from the International Jugglers’ Association. Civillico would later attend Georgetown University and in 2005 he graduated with a bachelor’s degree in theology. Shortly thereafter Civillico moved to Las Vegas and eventually was performing for the Nathan Burton Magic show. Civillico appears regularly on television on several local and national programs like the Cooking Channel, Valley View Live!, Las Vegas Good News as well as ABC’s The Morning Blend. Civillico is active in the community with his give back Sunday where 50% of ticket sales on Sundays go to local non-profit organizations. He also teaches at his own Showbiz Academy where high school students spend five days learning how to be an entertainment professional. Civillico participates in the National Speakers Association where he has spoken and performed for companies like Disney, Honeywell, Rite Aid and Caterpillar. He was a team member of Athletes for Special Kids and completed the Disney Marathon while he juggled the entire 26.2 miles. One of the highlights of Civillico’s career was his chance to perform at the White House and the Kennedy Center. 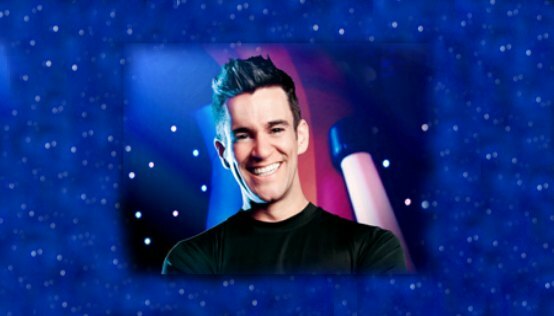 Jeff Civillico: the show is performing at Bugsy’s Cabaret within the Flamingo Hotel and Casino. The venue has plenty of great seats with good sight views. The show is open to all ages but children under the age of eighteen must be accompanied by a parent or guardian. The show runs Saturday through Wednesday at 5:30 P.M. Jeff Civillico Tickets are on sale now and range in choice of general admission seating to an incredible VIP experience.